Sweet Peas and Pumpkins: Smashies Anyone? 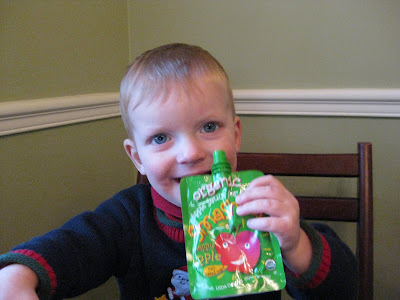 The fine people of Smashies sent R, G and I some portable organic applesauce squeezies to try. 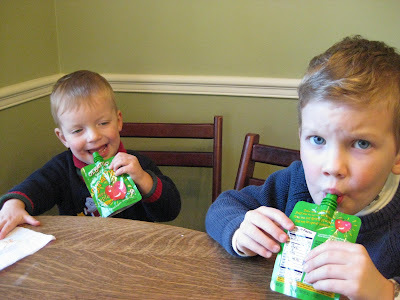 You may be thinking, "what in the world is a 'applesauce squeezy?'" 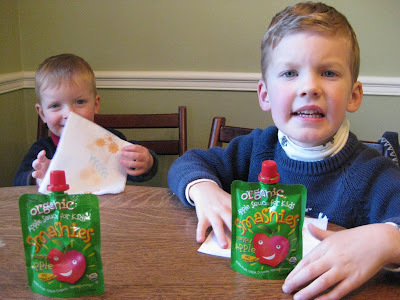 Well...let me tell you...imagine a Caprisun style applesauce packet, but instead of having icky artificial fruit punch inside, there is 100% organic, all natural, great tasting applesauce? Buy you may be thinking, "will kids 'get' how to eat them?" I'm sold. 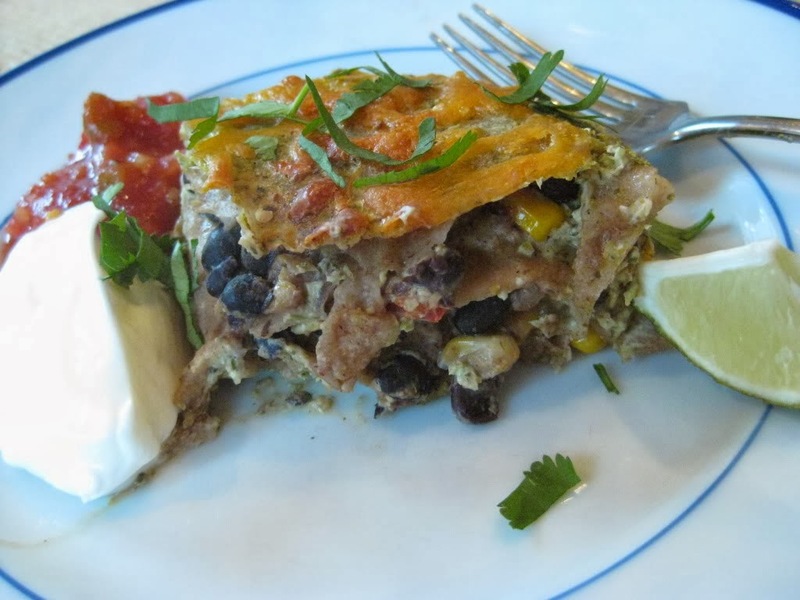 What a great portable, easy, healthful snack! Thanks Smashies!! Your boys are so darn cute. G's big round eyes are adorable. These applesauce thingys sound really neat. I am thinking they would be great in the car or at the park. Are they just by the regular applesauce in the store? That IS very cute! No need to pack a spoon -- which sounds stupid, but is often forgotten. Thanks for telling us about them. What a great idea. Do you know if these are available in grocery stores? I just saw that they were a "new item" last week at Trader Joe's AND they had a flavor of apple and carrot. I have seen them at Trader Joes. We have the apple flavor at home. The first time Evan tried it, it got all over him and that was the end of that. He didn't get how to eat it. I haven't tried it again since but maybe I should! We got them at TJs a couple of weeks ago and the kids love them. Well, they love the green ones, but not the orange one so much which are for some reason already available over here. Maybe pre-sales test marketing?